Fox News joined the Embryo Adoption Awareness movement early in 2014 featuring the story of Stephanie Hawkins, a woman who turned to Snowflakes after discovering she couldn’t have biological children. Stephanie and her husband Ben considered all of their family building options, including the use of an egg or sperm donor, but finally decided the Snowflakes program was the right fit. 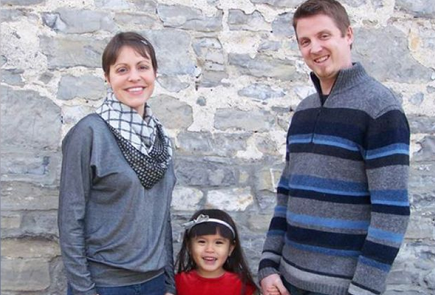 The Hawkins were matched with a donor family and after a Frozen Embryo Transfer discovered they were pregnant with a daughter. Read their full story on FoxNews.com.